Since Iron Man 3 is the first step toward Avengers 2, I was itching to see the direction Marvel was taking its cinematic universe. While it wasn't the best Iron Man (first the best, second the worst), and it suffers from the same flaws as other Marvel Studios films, I really liked the central role of anxiety in the movie. The movie begins with Stark saying, "We make our own demons." While in previous films Stark fights bad guys who have their own evil agendas, here he's dealing with the consequences of his own actions. A villain is pissed off because Stark was a dirt bag to him. 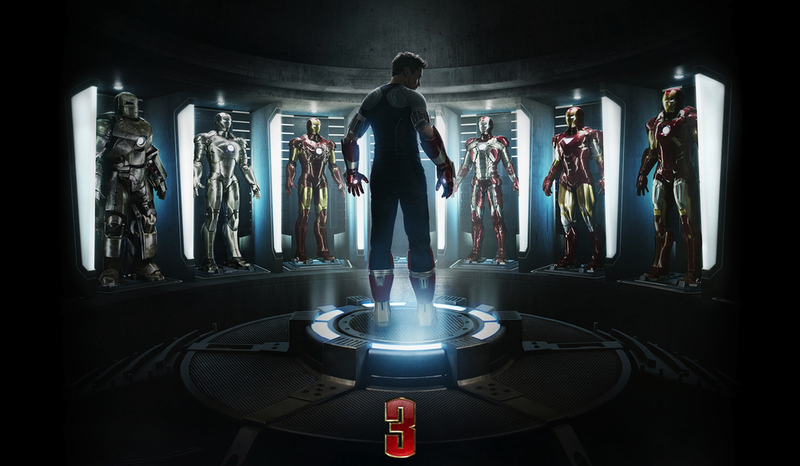 Stark is stripped of his Iron Man suit because of his own mistakes. He’s also experiencing anxiety because of his own decisions. Tony Stark is haunted by what happened in Avengers. Why is Stark experiencing anxiety? Well he almost died in Avengers. For a guy who thinks he can engineer his way out of any danger (Stark did build his Mark I suit IN AN AFGHAN CAVE), coming so close to death could be a very traumatic thing. While lots of things (biology, personal history, type of trauma) influence the development of PTSD, panic disorder, and other anxiety problems, there's only one thing that maintains anxiety - avoidance. Anxiety is a warning system that prepares our bodies for danger. This is a very good thing. Without anxiety, even if Loki was threatening us with an evil soliloquy and a mind altering glow stick, we'd just stand there twiddling our thumbs. The problem occurs when we try to avoid anxiety by restricting intrusive thoughts, numbing uncomfortable feelings, or running away from scary (but not life-threatening) situations. Avoidance doesn't reduce anxiety, it fuels it. Iron Man 3 has some nice examples of this. Stark cuts off Pepper Potts when she talks about the dangers of being Iron Man. He avoids nightmares by staying up and tinkering with new inventions in his basement. When Rhodey Rhodes brings up the Avengers, Stark runs out of the room and flies away. He even develops new Iron Man technology to avoid being in the situation that caused his trauma. While we don’t see it, I bet he’s also numbing himself with alcohol (like he did in Iron Man 2). Stark tries to cope by shutting off anything that might trigger difficult memories. That's exactly how normal anxiety transforms into a clinical disorder. Things go downhill once the climax begins. The way to treat anxiety is by facing the thoughts, feelings, and situations that trigger it. Therapists do this through exposure therapy (a fast, highly effective way of becoming desensitized to anxiety). Through collaboration, therapists help people end patterns of avoidance and develop the courage to face feared situations. We don't get to see any of that in the movie. No, I don't want to see Iron Man sitting in a therapy session, but I do want to see the resolution of his character arc. Instead, Iron Man 3's anxiety thread is dropped as soon as the climax begins. There's a resolution at the end of the film, but I have no idea how our hero achieved it. That's my beef with the whole Marvel Cinematic Universe - the films are inconsistent. The Asgard scenes in Thor were really cool, the Earth stuff not so much. I loved Captain America's origin story, but the action was boring. Hulk...well, both his movies just stunk. The only exceptions are Iron Man 1 (made before there were plans for a cinematic universe) and Avengers (yes it's full of plot holes, but the camaraderie made up for it). I don't need my comic book movies to be serious (like The Dark Knight), but I would prefer them to be complete (like X-Men 2). I guess that's what happens when you're creating something as ambitious as the Marvel Cinematic Universe - films are rushed and details get neglected. 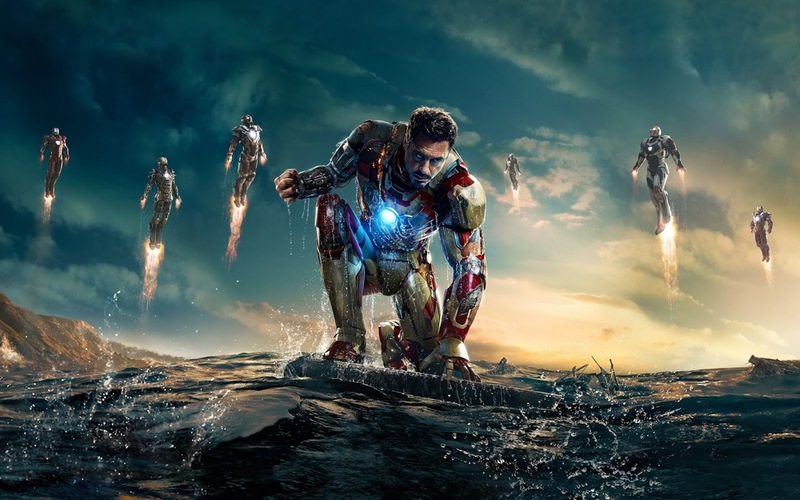 Yes, Robert Downey Jr. is ridiculously amazing, the action is fun, the special effects are flawless, the script is always entertaining, and there's a fantastic canon-shattering reveal. I just wish we could have seen Stark fight back against his own personal demons, you know, like the film promised it would. For a more positive review, check out The Atlantic. Or if you prefer a stronger critique, read the AV Club.